3 sizes to fit your recipe needs! A pan for just about any size requirements you might have for special desserts, like delicious cheesecakes. Gather your cake supplies and get started! 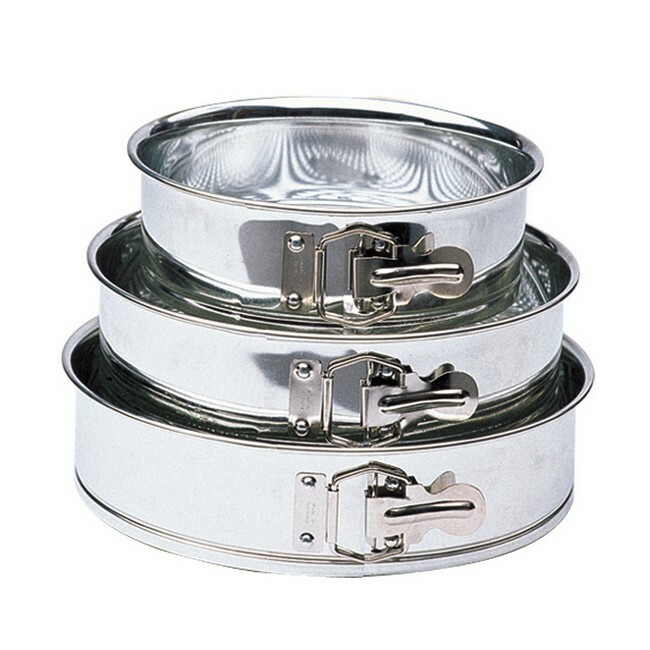 This Kaiser Bakeware 3-Piece Nested Springform Pans Set includes basic smooth-surfaced tinplate springform baking pans with waffle designed bottoms that create a stick-resisting surface. Bakers love the traditional look and the qualities which shine forth__easy to use, oven safe up to 450 F, easy to wash with hot, soapy water and a soft cloth. Pull up a recipe and get started! Nesting springform pans Make storage easier. Waffle design pan bottoms Create the stick-resistant surface. Oven safe To a maximum temperature of 450 F. allows the baking of a wide variety of recipes. Easy to clean With hot soapy water and a soft cloth.